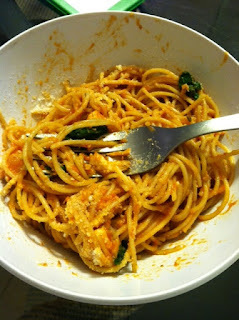 Fit for Success: Another Episode of "What Did Morgan Eat Today?" 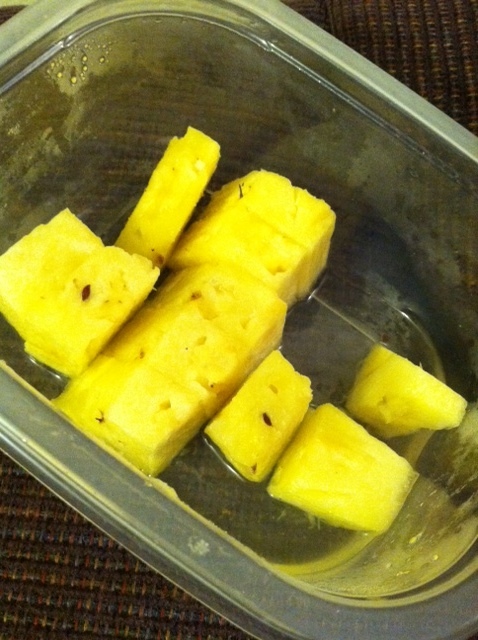 Yum in my tum. I start every morning with a cup of coffee, complete with one teaspoon of sugar, a dash of skim milk, and a tablespoon of Fat-Free Hazelnut Coffee Creamer! Breakfast always includes a banana :) Only one of course! 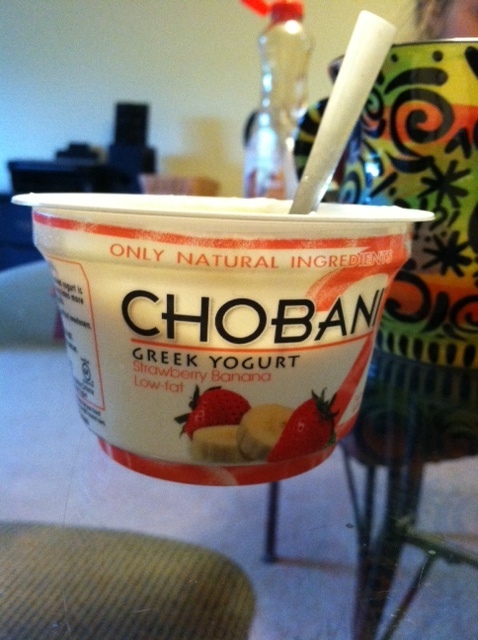 Finished breakfast with my favorite Chobani! Perfect before the gym! 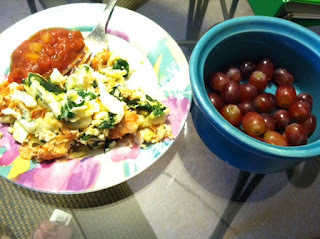 a late lunch included 6 T. egg whites, spinach, salsa, sante fe turkey, and 1/2 c. grapes! snack time! 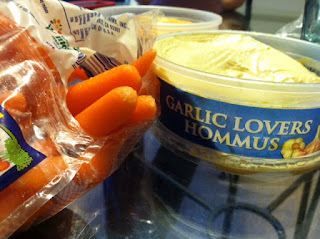 carrots & hummus! after my Target shopping trip, I indulged in my favorite Luna bar! 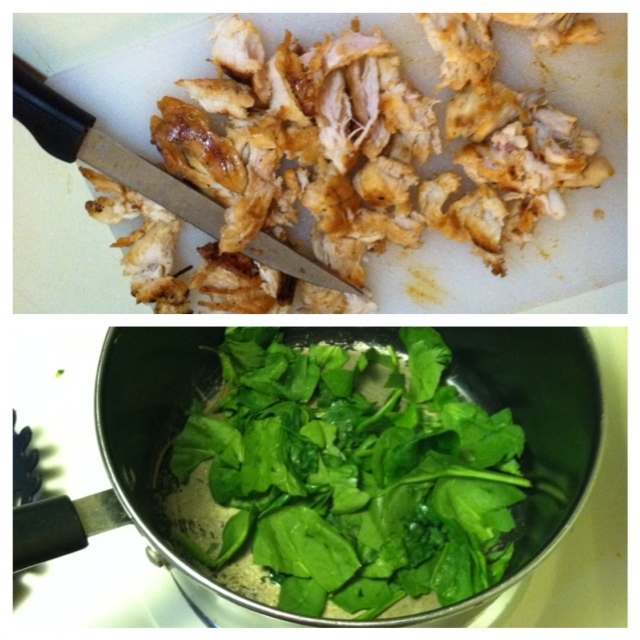 gotta add a chicken breast for protein and spinach for a veggie! the finished product! 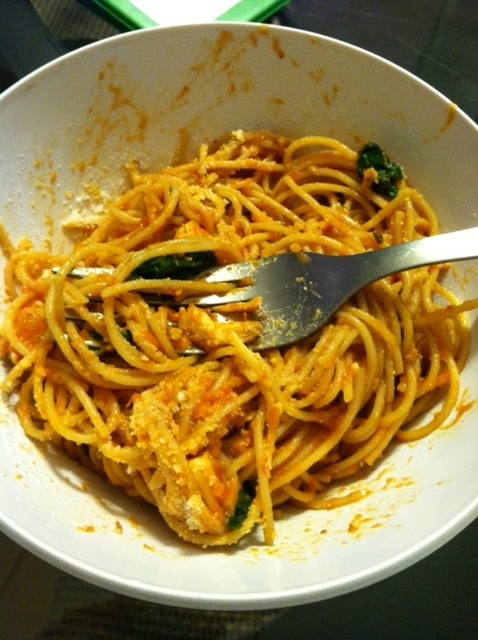 whole grain pasta, 1/2c. 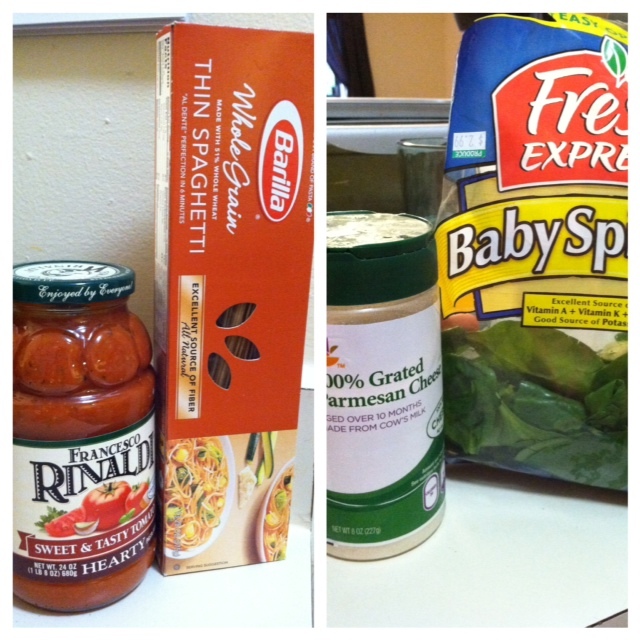 sauce, spinach, 1 thin chicken breast, and 1 T. parmesan cheese! I was craving something sweet, so pineapple was my dessert! my totals for the day! Protein: 109 grams! WOHOO! 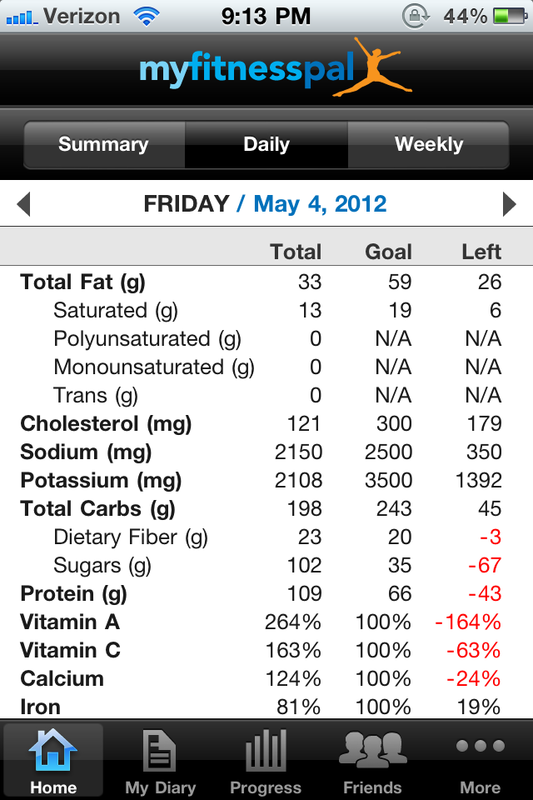 Finally almost reaching my goal of 120 grams/day! To cut back on sugar, I could have eaten less fruits, or been more "choosey" between the yogurt and the granola bar. Unfortunately, I require sugar in my coffee, and I'm 100% okay with having that be my "added sugar" for the day. 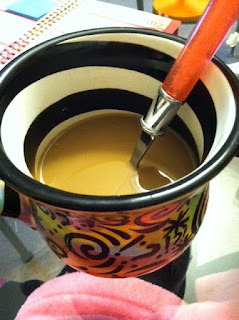 Coffee is too delicious :) It looks like I "overdosed" on vitamins, which again, I'm okay with! 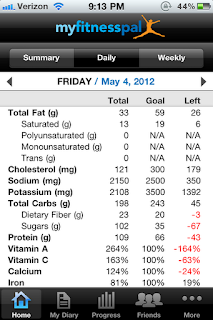 In case you didn't read my "My Fitness Pal" blog posting, the last picture is of the iPhone app i use to log my eating habits once in a while! Hope you have some new ideas! Get creative and enjoy the food you put in your body! 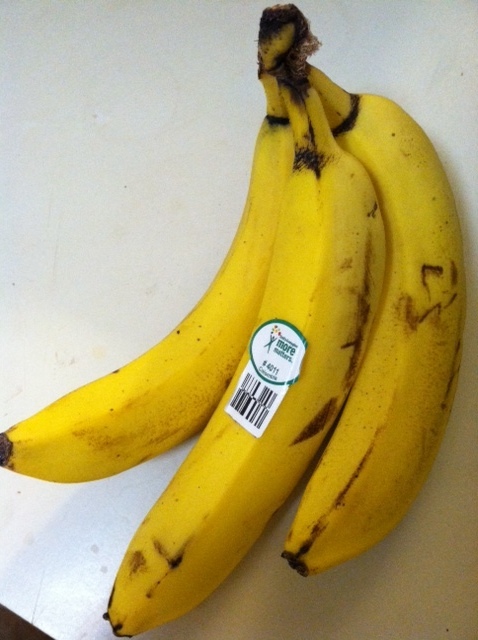 Your body turns every carb you eat into sugar as you digest it anyways, so you should be less concerned with sugar and more concerned with total carbs and the nutritional density of the carbs you are eating. the fruits you ate provide your body with a ton of beneficial nutrients and vitamins, where the pasta and yogurt provide a low level of benefits in your body (in addition to being turned into sugar as you digest them). 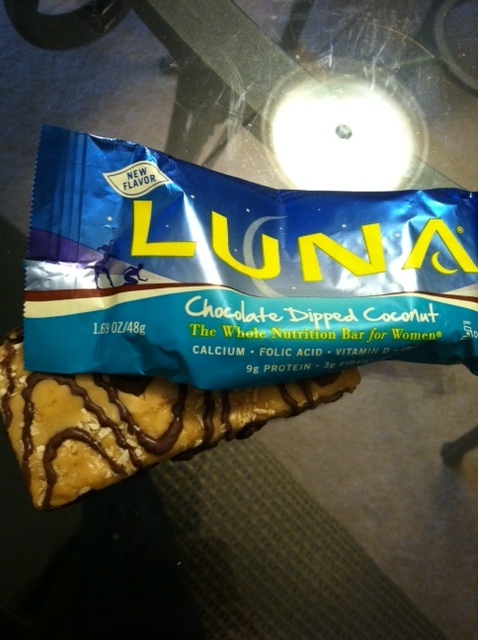 also, 1 teaspoon of sugar is only ~5grams of sugar and 15 calories, so taken in the context of sugar from that luna bar and yogurt, is pretty negligible. also, i know muscle milk tastes great, but that stuff is completely overpriced compared to other protein powers out there. 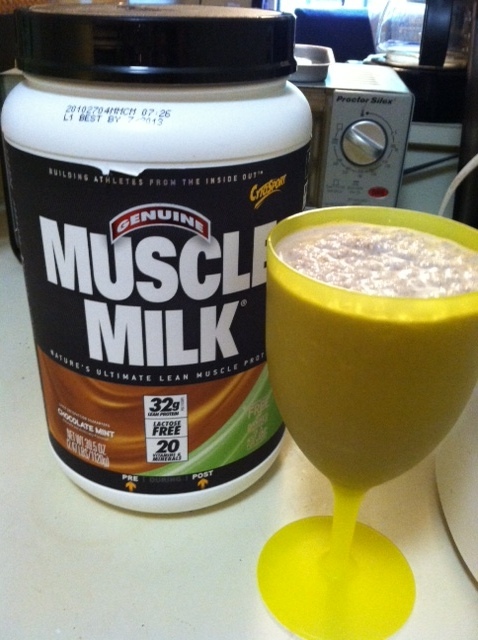 maybe now that you've taken the leap to muscle milk, you can convince yourself to try something that costs half as much and is just as effective next time.